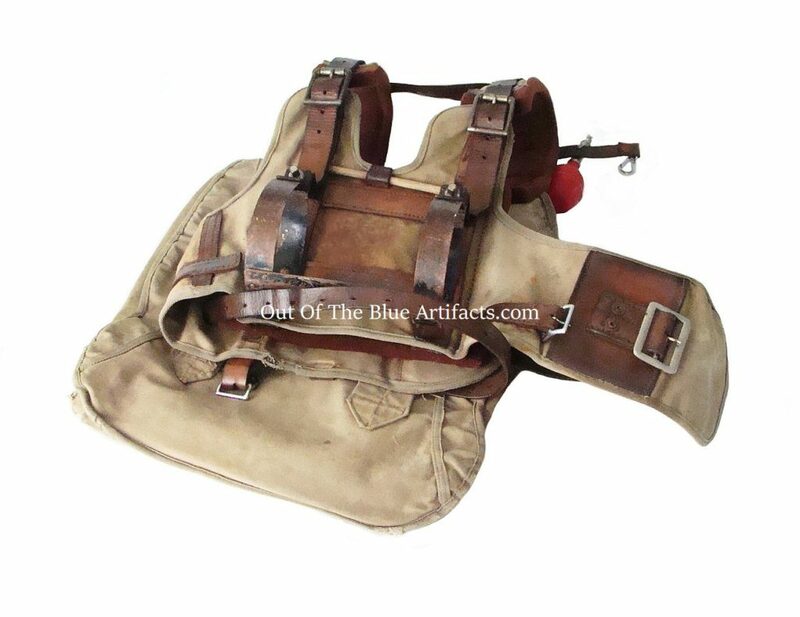 A Mines Rescue Team Members Belted Harness. A Siebe Gorman Proto MK 4. 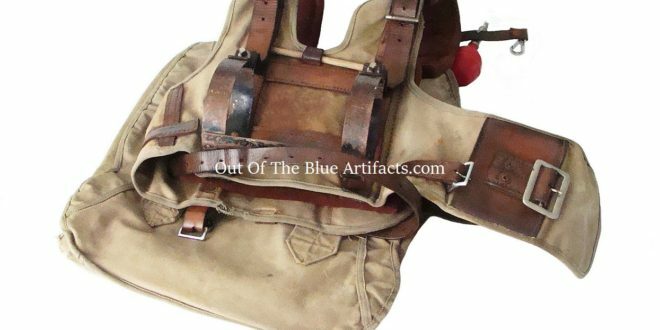 It has the “ACME RESCUE” Rubber bulb Whistle, Nose Clip, shoulder straps a large front pocket to hold the Breathing Apparatus and a bolted bracket at the back to hold the Oxygen tank. Made from Canvas, Leather Felt and Iron. (back view). Below is an original N.C.B. 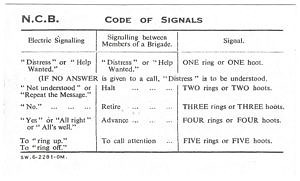 Mines Rescue Signalling Instructions Card.